Decide what subject you want to blog about. Choose the blogging platform (we use WordPress). Find a website host (where your website files are stored). Choose a domain name (the website address). Started writing with your brand new WordPress blog. By following the guide we’ve prepared below, then your new blog will be up and running in less than 20 minutes. If you already know what a blog is then you can skip the blog introduction. Then scroll down to Step 1. A blog (short for web-log) is a type of website with written stories and articles. These articles are sometimes called News posts for blog posts. In recently years blogs have become very popular with articles being shared on social media sites like Facebook. A blog can be about any topic from celebrity news, to travel or food blogs. So you can start a blog on just about any subject or hobby you want. 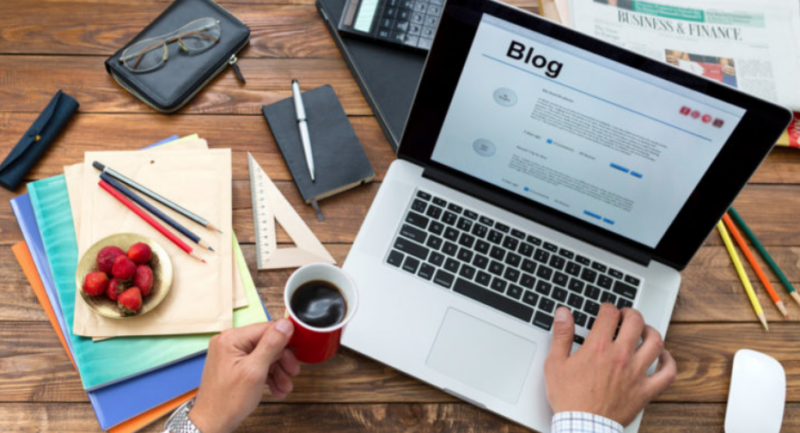 The writers of blog posts, called bloggers usually write from a first person point of view which allows them to speak directly to their readers and audience. Blogs usually have ‘comments’ at the bottom which allow the reader to have their say and start a discussion. This makes the article more interactive than a traditional newspaper article which is static. Interacting with readers via the comments section connection between the blogger and the reader can create a further level of community. Some best selling published authors even got their start via writing a blog! Make money while working from home. I a side income from blogging and many other bloggers do too. Some even make a full time living from their blogs. However I should point out that making money as a blogger is hard, especially at first. But is easy to get started and grow your blog, one article at a time. Become a published author. In recent years most publishers usually work with authors who already have an online blog or website. The reason for this is simple: it’s a lot easier to sell books to people who already know you who you are and have an audience of fans or readers. A blog is one of the easiest and cost effective places to start with your dream of becoming a published author. Just start to write. If you want to write then just get started! You can share your own stories and experiences online and gradually build a community or following of readers. Can you see how you would benefit from a blog? Then keep reading below! If you use the method I outline below, it works out to about $3 to $10 a month. I blogged for years on this budget. After doing this a long time (over 10 years) here’s my best advice. A free blog is fine if it’s a hobby, but if you want to make money from your blog I don’t recommend starting a free blog. Companies don’t offer free blogs just out of the goodness of their hearts. They do it because they still want to make money, so if you’re only using their free service, they’re not making money from you. Therefore, they don’t have a lot of incentive to keep you happy. Sometimes this means you’ll have little to no support. Other times it means you’ll be badgered with offers for their paid-for products. Most free services have only basic features. This might not cause any problems at first, but as your blog grows then it may become limiting. It’s good to be able to expand and have flexibility to scale upwards and you can’t always do this using a free site. If you ever want to switch to a better service which is common among those who start a free blog, then it’s a headache and can be costly. Doing it yourself takes a lot of time and know-how. Hiring a pro to do it correctly costs hundreds of dollars. You might not be able to do what your favorite bloggers are doing. This happens to new bloggers all the time. They start a blog for free. Soon they notice cool features on other blogs which they want too. The problem is, it’s not possible on their free service. Accountability. We generally value things we pay for. Blogging is hard work. One way to keep yourself accountable is to pay just a little bit for it. If those 6 common pitfalls don’t convince you, or a free blog is truly your only choice, I would go with Blogger which is probably the next best thing to WordPress. Here are my easy-to-follow steps to start a self-hosted WordPress blog, no technical experience required. If you’re part of a business, company or organization, your blog should be related to the product(s) or service(s) you provide, or the cause you promote. Blog about a topic you enjoy and find interesting. Ideally you need to be excited about the topic you’re writing about it will be drudgery. A blog requires a lot of content to get going and remain interesting. So make sure you have plenty to talk about. Blog about something with plenty of room for discussion to help engage your readers who can comment on your writing. Choose a niche in which you can gradually establish yourself as an authority. You probably won’t be the first person to blog about the topic you choose. Don’t worry about this, all you need to do is write from a unique angle. If you have a chance of making your blog better than others then go for it and get started. The goal for any blog is to become tan online resource in its topic or niche. What if I can’t decide on a blog topic? Then just start anyway! A common beginner mistake is thinking you have to be sure of a topic to start. If you’re like people, you’ll either switch topics or settle into something as you go. If you want to blog, you need a blogging platform. A blogging platform is sometimes called a CMS (Content Management System) and gives you the necessary tools to get your writing and articles in front of your readers. There are many blogging platforms to choose from such as WordPress, Blogger, Squarespace, Wix and Weebly are a few. All the blogging platforms above have good and bad points but WordPress is by far the most popular (source) system and also easy to use. WordPress is a great platform that is flexible. It’s used by small bloggers and also big companies. It’s functional and has a large online community of users and developers who share tools and ideas. If you choose the WordPress platform for your blog then you have two options: hosted or self-hosted. Hosted – WordPress blogs, sometimes called WordPress.com blogs, are free but limit your income potential. Self-hosted – WordPress blogs, sometimes called WordPress.org blogs, cost a little money but give you much more control, and do not limit your income potential. This guide will teach you how to start a self-hosted WordPress blog, the platform preferred by me, as well as beginner and more experience bloggers. Hopefully you’re now convinced with the benefits of WordPress, but there’s one more thing to know: For your WordPress blog to be online, you need server space. You get server space from a hosting company or “host.” This is the server space which will store all your files, images and text. 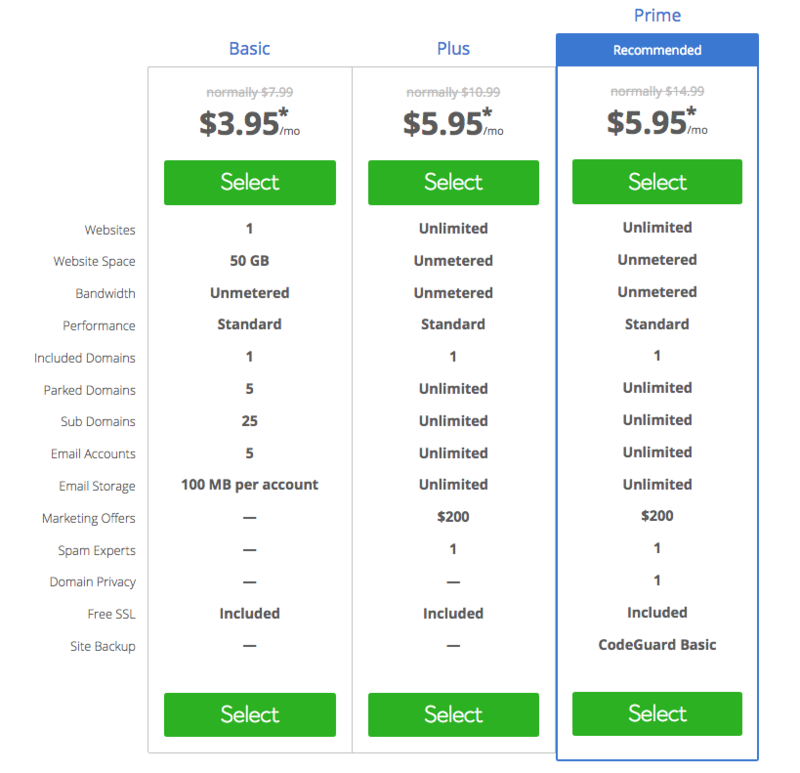 Which host company should you use? On the next screen you’ll enter your chosen domain name. A domain is a website address. For example, TheDigitalSizzle.com is my domain name. If you don’t have a domain name or aren’t sure which one to choose, then please don’t worry – you can choose one later. All you have to do is click the link near the bottom that says, “Choose later!” You might have to scroll down the page a bit before to see this option. By click the Choose later option it will give you some time to get started with WordPress while you’re thinking up the perfect domain for your new blog. If you know what domain you want to use and haven’t registered it before, enter it on the left. For the purpose of this tutorial, I will use a new domain. If you are using an existing domain, the process is nearly the same so you can still follow along easily. Q: What blog site should I use? A: WordPress. It is the most popular platform, powering over 30% of the web! Best of all: it’s free. Other blogging platforms aren’t in the same league. Q: What should I write about? What blog should I start? A: Recipe blogs, fitness blogs, and business blogs are some of the most popular. It’s best to write about a subject that you’re passionate or interested in. Q: How do bloggers make money? A: There are many ways that bloggers can make money online including advertising or getting commissions. Some people just write for fun as a hobby but it can turn into a side income. Q: How Do I Pick A Domain Name? Q: Are blogs social media? A: Blogs can be considered social media because they have comments and social interactions. However, from a technical standpoint, analytics software does not count blog traffic as social media traffic. A: No, over 400 million people read blog posts every month. You’re reading one right now! Q: What’s the difference between a blog and a website? A: Blogs are frequently updated with articles. Whereas a website is more static and the content might not be updated as often. Blogs focus on creating really good writing and article content. A blog is usually more socially active, with sharing options and comments to engage with your audience and readers.